As a Mercedes driver you already know that you are driving an extremely well built and special car. You also know that to keep your Mercedes Benz in top condition you need to make sure that it is well maintained. Unfortunately, as with other components from time to time Mercedes clutches require attention. As with most of the jobs on precision engineered vehicles they should be carried out by experienced ASE Certified Technicians. Who have replace clutches every week. 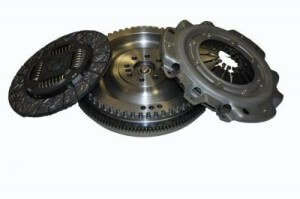 At GCD We have specialized technicians who have done MB Clutch repairs hundreds of times before. Mercedes Clutch Replacement German Car Depot clutch replacement specialists are the professionals of choice for many Mercedes South Florida owners. Mercedes clutch replacement and Mercedes Benz clutch repairs are just one of the many services we offer for German car owners.With all the correct specialized tools and equipment that is needed for Mercedes clutches to be repaired or replaced, German Car Depot should be your first call if you ever need a Mercedes clutch replacement or Mercedes clutch repair. We can complete the job in a fraction of the time and with competitive pricing you will not be disappointed that you came. Trained to the highest standards of Mercedes servicing, German Car Depot technicians will look after your car is if it belonged to themselves. German Car Depot, specially built Mercedes service and repair centre, close to the city centre is in many ways far better than a main dealer garage, as any cost savings achieved by shopping around suppliers can be passed on to our customers, which is often a huge difference. It pays to get all the facts first. In South Florida, Miami, Fort Lauderdale, Weston, Hollywood there is no better repair center for Mercedes Clutch Replacement.